Let us chronicle your love story and make you a collection of wedding photographs you can cherish for years to come. We will capture all the special moments of your wedding ceremony and reception at Crescent Beach Club. The Crescent Beach Club is located on Bayville Avenue in Bayville, New York. This venue has been hosting weddings for more than two decades, and this is reflected in their expertise at helping couples turn their dream wedding into reality. 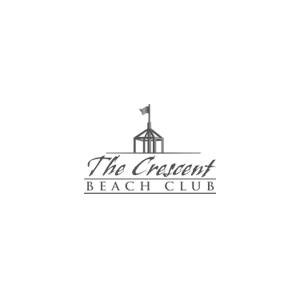 The Crescent Beach Club has indoor and outdoor wedding event spaces and is also a great place to host your bridal shower and rehearsal dinner. The Crescent Beach Club provides a beachfront backdrop for your special day. You and your groom can exchange vows on the sand, just steps away from the ocean. Your ceremony will be framed by tall palm trees and gently swaying grass; a perfect scene for your photographs. After the ceremony, you can relax with your guests and enjoy cocktails, while watching the amazing sunset. Then enjoy the rest of the evening with your loved ones over a sumptuous meal and drinking and dancing in the Grand Ballroom with its glass walls and panoramic ocean view. The beach area is one of this venue’s most favored spaces for a wedding ceremony. This exclusive area can comfortably accommodate up to 400 guests for a seated ceremony. If you prefer an indoor ceremony, then the venue has a capacity for up to 300 guests. There is a one-hour fee for a wedding ceremony. When you rent the venue, you are permitted five hours excluding set up and clean up time. You may purchase additional time, provided that all events end by 2 a.m.
For your wedding reception, the Crescent Beach Club’s outdoor area has a capacity for up to 600 guests and can accommodate either a banquet style formal dinner, or a standing cocktail reception. If you prefer your wedding reception indoors, the club has a capacity for up to 400 seated guests or up to 600 with a standing cocktail reception. If you choose only to have your reception at the club, the venue charges no fee; you are just expected to pay the minimum order for dining and drinks. Contact us today to make an appointment. We’d love to meet you and your groom to talk about your plans for your Crescent Beach Club Wedding and how we can capture those special moments.